The Curious Incident of the Dog in the Night-Time marks another National Theatre production to commence a West End residency. Simon Stephens’ adaptation of Mark Haddon’s best selling novel is a production whose brilliant conception defines excellence in theatre. Directed by Marianne Elliott, the tale is of Christopher, a 15 year old from Swindon who has Asperger Syndrome. The subject matter is vast, yet this story simply presents Christopher’s viewpoint of the world from his unique perspective, where happenings in his life are meticulously processed, and where each thought and sensation is often met with an inability to filter out and prioritise. Each event is a sensory challenge for him that he must overcome and when, in the play’s second act he ventures to London alone, we share his inability to process such a vast sensory overload that even a trip on the Tube can generate. The programme notes that the cast and production team meticulously researched for the show. As Christopher, Luke Treadaway gives a performance that is one of the finest to be found in London. Unsensationally, but brilliantly, he depicts a young man, gifted in mathematics, focussed on the challenges or questions that confront him, but blind to the subtle nuances of life. When a well meaning neighbour unwittingly spills the beans to him of his mother’s infidelity, we feel his pain at having to grasp such a huge revelation, yet note that his response is simply to assess his mother’s actions rather than to judge her behaviour. The brilliance of both written word and actor is inspiring and humbling. 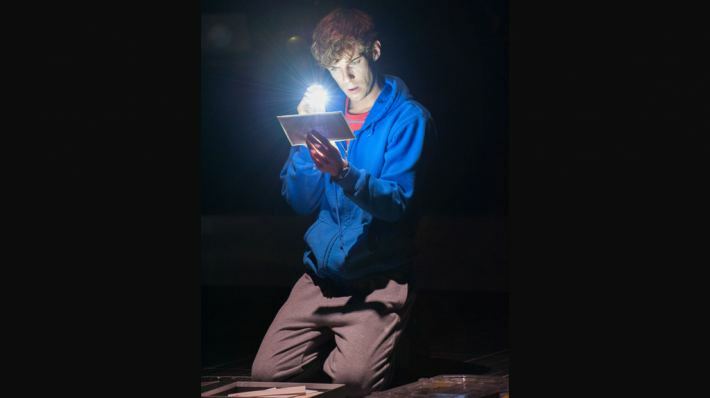 Treadaway is on stage throughout the entire play and audiences are encouraged to remain after the final curtain calls, where his character explains the mathematical Pythagoras theorem, displaying the comfort and satisfaction that Christopher derives from the world of numbers, where certainties can be easily proved. The supporting cast have some fine members. 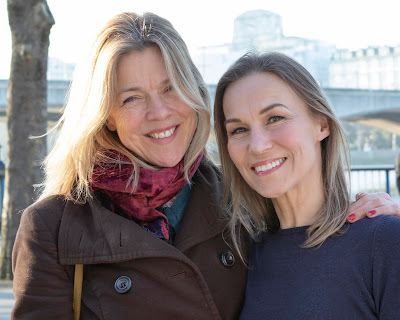 Holly Aird as Christopher’s mother and Niamh Cusack as his teacher, both give beautifully grounded performances of compassionate care and support for the young man. Elliott’s use of her ensemble to play both people and props is inspired. The company skilfully suggest revolving doors and the bustle of London, yet also, with the simplest of beautiful physical skills, lift Christopher to make him fly as he dreams of a career as an astronaut. The other star of the show is Bunny Christie’s design. With stage and walls marked out as graph paper and brilliant use of technology and video projection from Finn Ross, the audience are transported into just a tiny glimpse of how Christopher interprets the world around him. This show is destined to become another National treasure and it cannot be long until, having crossed the Thames, it goes on to cross the Atlantic. Not to be missed.